Swedish biotech firm C-RAD has received an order for the James Cook University Hospital in Middlesbrough, UK, which has chosen a C-RAD Catalyst System including software packages for Patient Positioning and Motion Monitoring. The James Cook University Hospital will focus use of the Catalyst System on treatment of breast cancer patients. Installation of the software system is scheduled for the fourth quarter of fiscal year 2014. C-RAD products are distributed by the company Vertex Scientific Ltd. in the UK. Cancer affects about one third of the population in the Western World, which means about 10 million new cancer patients per year and an increase of about 3 percent per year. Despite this, an increasing number of patients are cured, mainly due to improvements in diagnostic and treatment methods. The main cancer treatment methods are surgery, radiotherapy and chemotherapy, and a typical cancer treatment is often a combination of these methods. 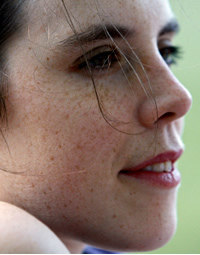 The number of patients cured is on average about 50 percent, and C-RAD deduces that with development of better diagnostic and therapeutic methods and products the number of patients cured has increased more within radiotherapy compared to the other methods, and that this trend is expected to increase within going forward. Radiation therapy has evolved considerably during the past few decades, with the introduction of increasingly conformal treatment techniques as well as capabilities for on-board volumetric imaging in the treatment rooms. This has enabled a new level of accuracy in the delivered dose distributions with a corresponding improvement in clinical outcomes. Through its detailed knowledge of the radiotherapy business and its customer requirements, C-RAD offers products for positioning, monitoring, tumor localization, and radiation therapy. 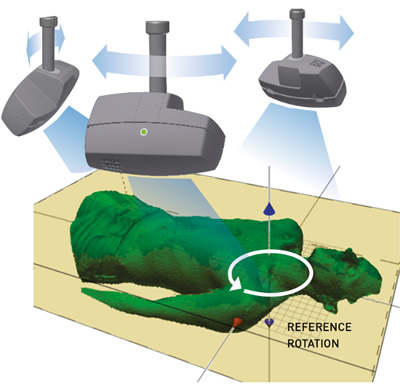 The Catalyst system is the newest, described as based on a new generation hardware and software platform for high performance optical surface scanning and augmented reality through re-projection. 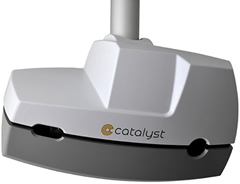 Catalyst captures the complete body surface continuously. Advanced and highly optimized algorithms for non-rigid registration and deformable models enable real-time assessment of patient positioning errors before and during treatment delivery. The system calculates isocenter adjustments and interfaces to major vendors ensure a completely integrated workflow. C-RAD describes the Catalyst system as consisting of a next generation optical surface scanning and re-projection hardware device coupled with a highly optimized application software designed for work-flow integration. Requiring minimal user interaction, the Catalyst acts as an always present decision support system where the required information is projected directly on the couch or patient. The system’s high performance provides immediate and real-time feedback, which means that the therapist can keep focusing on ensuring the best possible patient comfort and treatment outcome. The highly optimized non-rigid surface registration algorithms in the Catalyst system enable the real-time and continuous tracking of any motion of the patient’s skin surface, without requiring the presence of any markers or tattoos. This allows any setup errors to be immediately detected and provides information on any movement during treatment delivery. To ensure a flexible installation and virtually eliminate the risk of interference from other equipment, the scanner unit is connected to the Catalyst workstation in the control area using a fiber optic link. Radiation therapy is a complex process, where many pieces of equipment, in many cases from different vendors, need to work together during the different steps of the treatment chain. The Catalyst provides automatic and independent verification of many critical parameters that were previously only possible to check manually. The Catalyst thus reinforces the treatment chain. Requiring minimal user interaction, the Catalyst acts as an always present decision support system where the required information is projected directly on the couch or patient. The system’s high performance provides immediate and real-time feedback, which means that the therapist can keep focusing on ensuring the best possible patient comfort and treatment outcome. The Catalyst software is built from the ground up for a networked environment. Tight integration with other systems in the clinic ensures a smooth work-flow where data is transferred automatically via industry standard or vendor specific interfaces. When the patient is selected in the R&V system, the same patient is automatically selected in the Catalyst, and computed shifts can in most cases also be applied automatically. The central patient database ensures that the correct settings are always available even in cases where the patient needs to be treated in a different room. The Catalyst HD solution uses three cameras mounted in optimal angles for maximum patient coverage and accurate positioning during non-coplanar treatments. The intra-fraction motion detection helps maintaining the initial position of the patient throughout the treatment and permit maximum dose delivery within the target. The Catalyst HD also offers integration with high quality immobilization equipment for increased accuracy and maximum patient comfort. Posture errors projected directly on to the patient’s skin ensure a correct patient setup and a higher accuracy in the patients position. With posture error correction, time and effort for verification imaging can also be reduced. With 3D intra-fraction motion detection the initial accurate position of the patient is maintained throughout the treatment and permits maximum dose delivery within the target. Using the gating solution with Audio Visual Coaching and the interface to Varian or Eleka enables the delivery of precisely-targeted radiation to moving tumors. 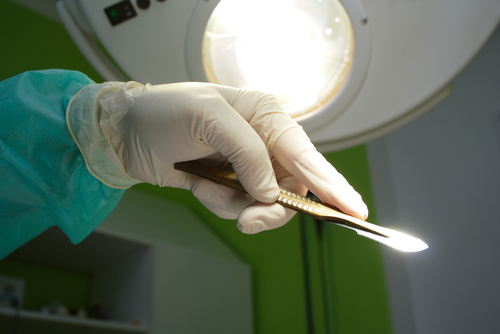 This assures the most reproducible outcome and guaranties maximum patient safety. The Catalyst PT solution consists of multiple cameras for full patient coverage, independent of the couch rotational position. The automatic reference adjustments ensure uninterrupted patient motion monitoring during non-coplanar treatments. To handle the different room geometries, the Catalyst PT setup is highly flexible and individual mounting solutions can be offered to obtain an optimal installation configuration. To avoid any unexpected downtime for the system the Catalyst PT systems also have additional neutron shielding. “With the James Cook University Hospital we have a cutting-edge radiation therapy center as our first reference in the UK. The first system in a country is always an important milestone to further develop the local market,” comments Tim Thurn, CEO, C-RAD AB in a release. 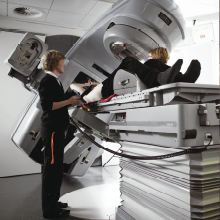 C-RAD develops new and innovative solutions for the use in advanced radiation therapy. The company group of C-RAD offers products and solutions for patient positioning, tumor localization and radiation treatment systems. End users are radiation therapy clinics worldwide. All product development is conducted in three fully owned subsidiaries; C-RAD Positioning AB, C-RAD Imaging AB, and C-RAD Innovation AB. C-RAD Imaging AB is located in Østersund while the other companies are located in Uppsala, Sweden. Numbers of employees are currently 28 people. The activities in C-RAD AB originate from research and development at the Karolinska Institutet in Solna. Sales of the company’s first product, the C-RAD Sentinel, started in 2007. Cooperation agreements have been signed with the Swedish company Elekta, the US company Varian and the Belgian company IBA. C-RAD is represented by distributors specialized in radiation therapy on major markets. C-RAD has founded three companies for direct sales, C-RAD Incorporated in the US, C-RAD GmbH in Germany and C-RAD WOFE in China. C-RAD has invested in 29 % of the laser company Cyrpa and with an option to acquire the remaining 71%. C-RAD AB is since March 2010 listed at Nasdaq Omx First North Premier. Erik Penser Bankaktiebolag is appointed as C-RAD’s Certified Adviser. Tagged breast cancer, C-RAD Catalyst System.